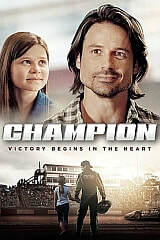 Champion: In the super-charged world of dirt track racing, a single mistake causes the lives of two men to change forever. One must fight for his family, the other must fight to forgive. My credits: HR Clerk, script supervisor, and casting associate.